Anyone who knows me well knows I am not a huge fan of Italian food. I’ve never been a big pasta lover and usually the flavors and foods are way too heavy for my liking. 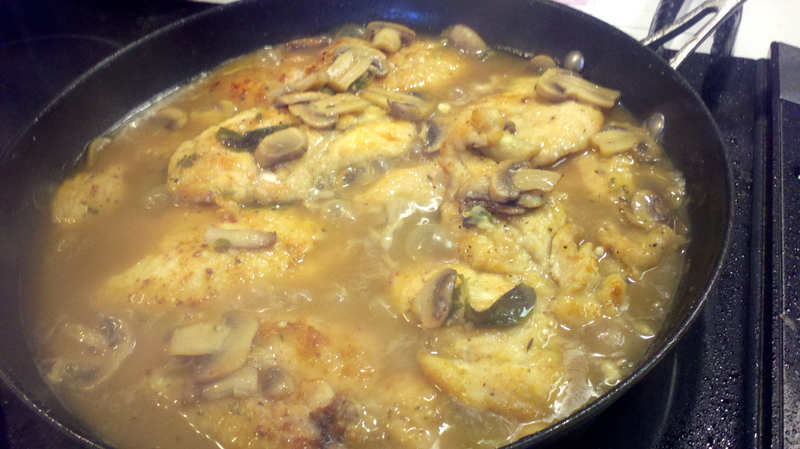 When trying to think of something to cook for dinner, my mom mentioned that she had been craving chicken marsala. I’d never had it and immediately turned up my nose at the idea, but being the wonderful daughter that I am (har har…) I figured I would give it a shot. I researched a few recipes and then came up with my own that – not to toot my own horn – was pretty freakin’ fantabulous. Definitely something I will make again… and this time I’ll make sure to make about twice as much because there were NO leftovers.